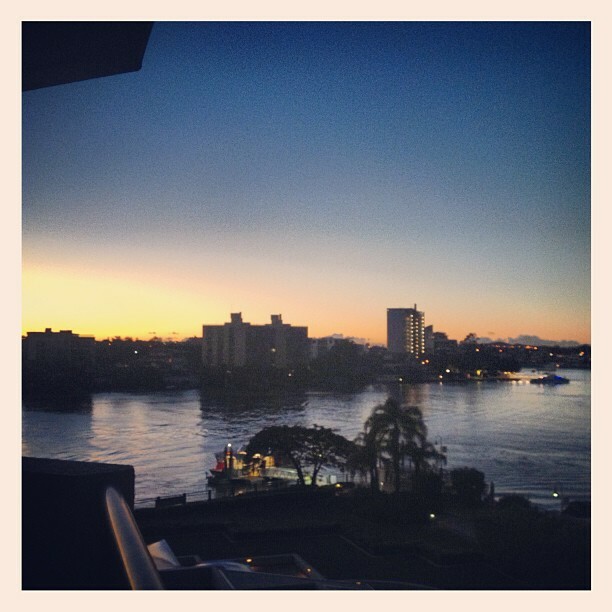 I sit here on a balcony, overlooking the most beautiful river in Brisbane, Australia. I can see people in their homes across the river straight through their windows. Some families sit down for dinner, some couples watch television, and some sit outside alone like me, with a glass of wine and their journals. I wonder where they are in life. Are they also supposed to be studying for finals? I go home in nine days and start yet another chapter of my life. This one is scary because it is the one right before graduation. 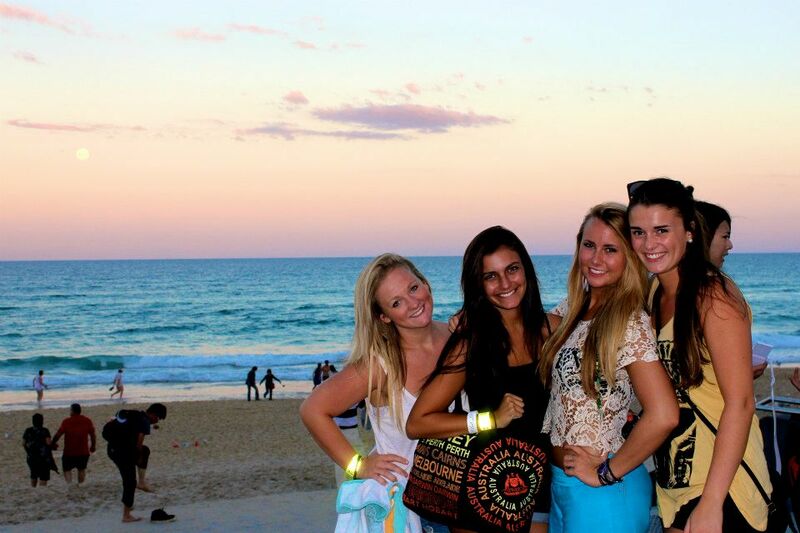 It scares me that I won’t study abroad here in Australia again. I won’t wake up early to study, but then decide I can’t be bothered with it. I won’t take a ferry across the river, grab a Starbucks, see The Great Gatsby, walk the city, come back and creep on the guy in the penthouse suite across the river. I won’t ever have this day again. It scares me that I don’t know what I want to do after graduation. It scares me that soon I may be working a nine to five job letting each day pass without seizing it… like all these people in their windows. But I sit here… and I watch these birds fly by. Do you think these birds know where they are flying to? These birds just fly their happy butts around all day, not knowing if they are even going to find dinner. I know they literally have “no worries” and not just because they are Australian birds. I am so dramatic in thinking that because I am going home, there is no more adventure. I will be back to Australia someday, but don’t I have more adventure to find first? I cannot be scared that long days of nine to five are coming up and college life is coming to an end. I should be excited to look for opportunities at home, excited to reconnect with people, excited to find work and maybe even love. I can’t be sad of chapters closing or scared of starting new ones. Because the birds don’t know what tomorrow holds either, but they are always fed, sheltered, and see the world from the best perspective possible. And am I not more than a bird?